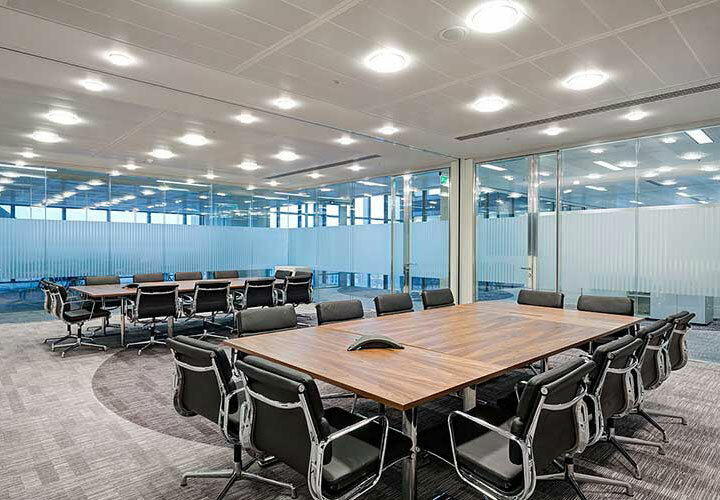 On one of the upper floors of one of London’s premier office skyscrapers this floor is flooded with light. 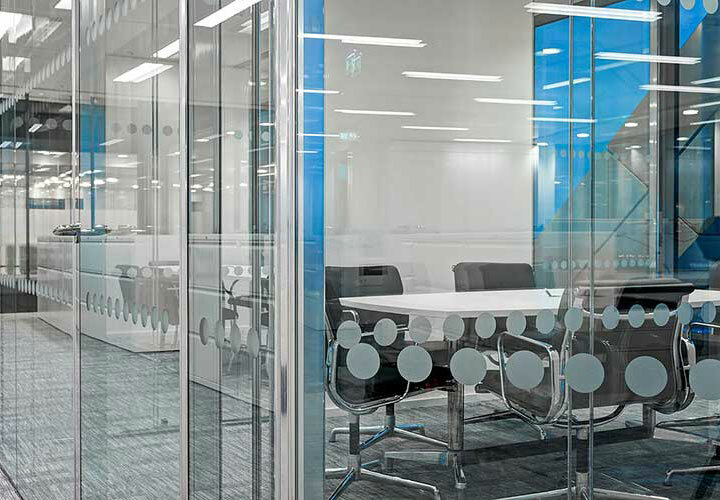 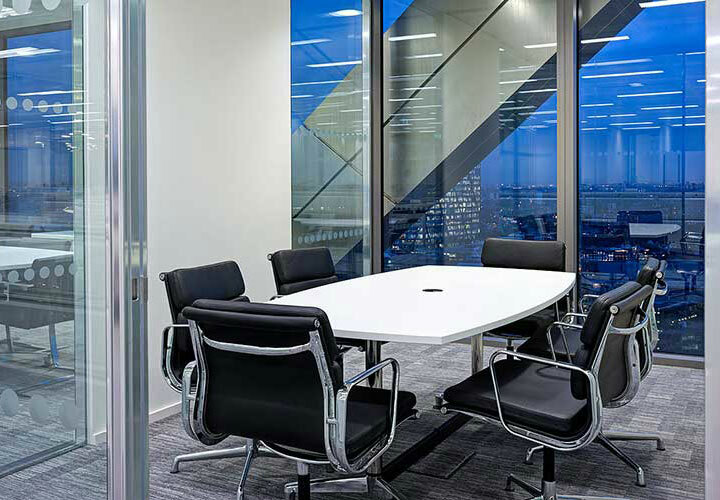 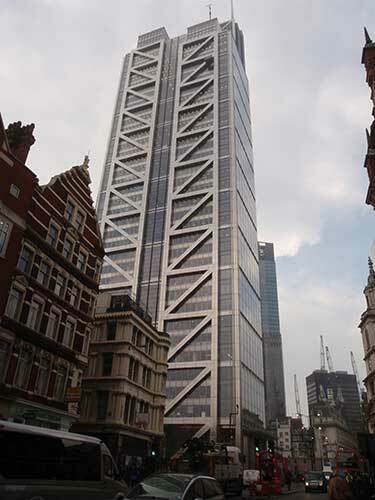 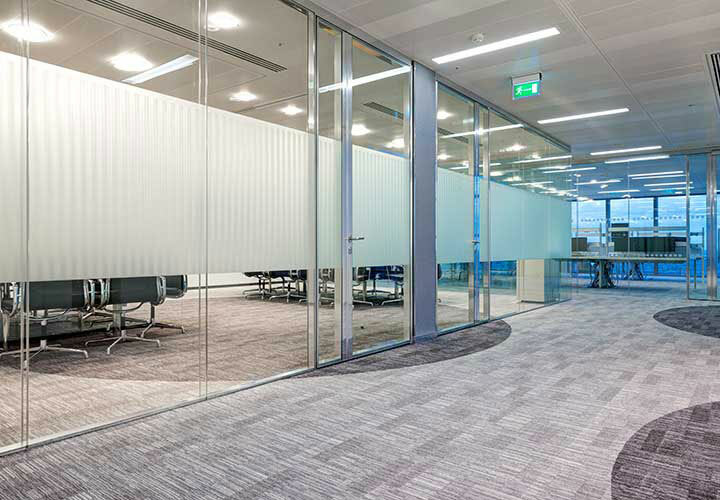 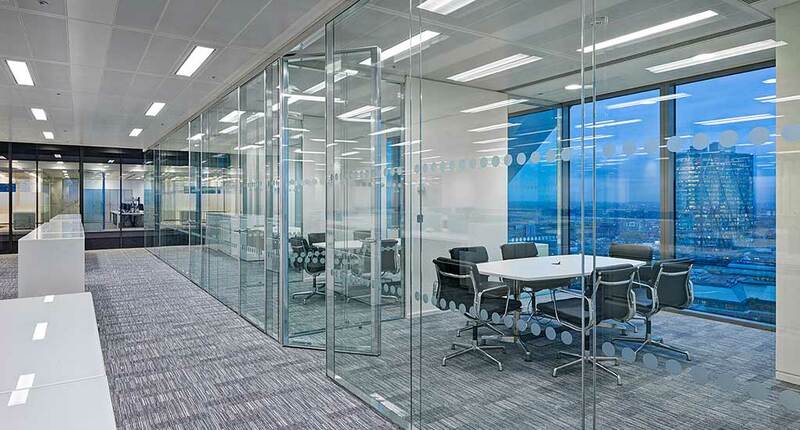 The use of the Vista double glazed flush frameless system together with a minimal dot manifestation design ensures the transparency is maintained around the exterior meeting rooms allowing unhindered views across the City in all directions. 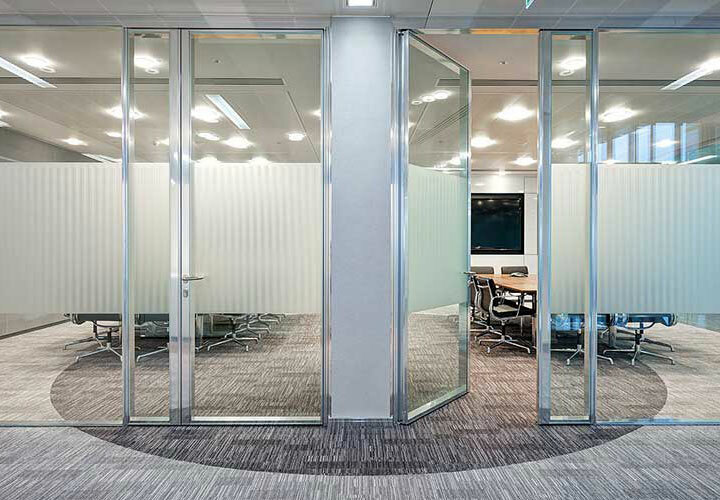 Double glazed flush pivot doors are used to achieve the required acoustic performance of 36dB for the room. 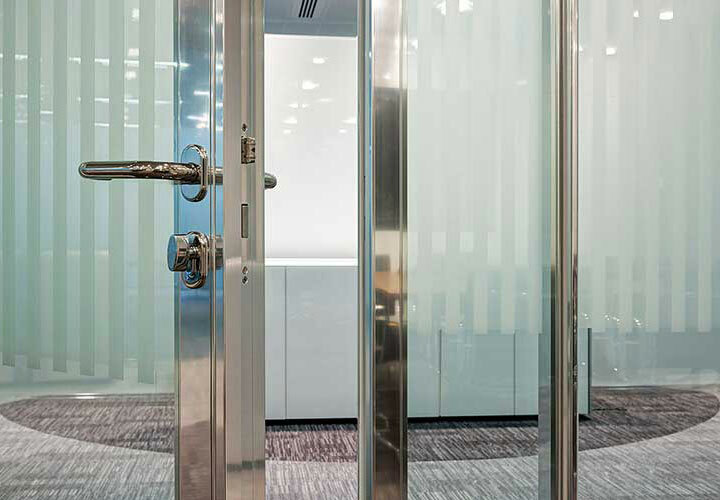 The polished aluminium finish goes hand in hand with the building’s exterior silver structure and adds to the brightness of the space. 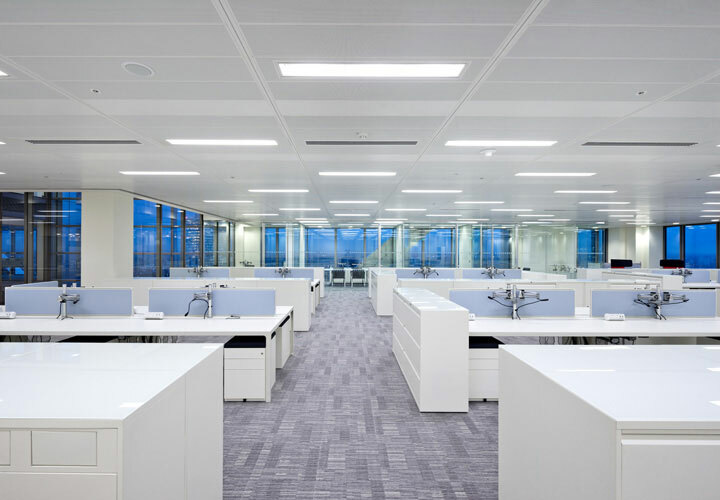 The desk solutions from Estel’s More range complement the overall transparent effect with long spanned multiple workstations and dealing room equipment.